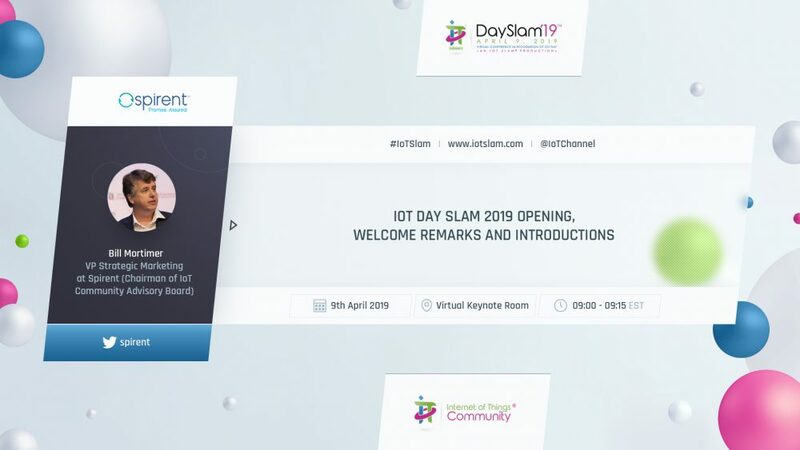 A welcome introduction to the IoT Day Slam Virtual conference by IoT Community Advisory Board Chairman Bill Mortimer, (and Executive Vice President of Marketing & Strategy at Spirent) who will provide an update on current conditions for our IoT Community members, as well as set the stage for the rest of the event format as a whole. Bill Mortimer is Vice President of Strategic Marketing for Spirent Communications. He is currently working on developing new businesses in the Internet of Things, Connected Car and Mobile Service Assurance & Customer Experience. 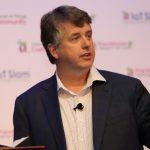 Prior to joining Spirent, he worked as a General Manager for 7 years in the Communications Test business at JDSU and 14 years at Hewlett Packard and Agilent Technologies in Canada, USA and Germany. Earlier in his career, he worked at Bell Northern Research, Manitoba Telephone System and Idacom Electronics. He has a Bachelor of Computer Science degree from the University of Manitoba. Bill is a Canadian, and has lived and worked in Sindelfingen, Germany for the last 14 years.